Mouth watering! We take our Extra Buttery Popcorn and caramelize it. You’ve got to try it to believe it. 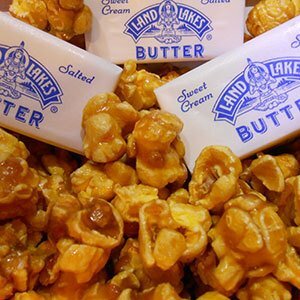 Our Extra Buttery Caramel mixed with Extra Cheesy Cheddar Popcorn.